Being a part of Day 1 Great Lakes has been a highlight of my freshman year. I was able to experience field work, meet lots of new people early on in the school year, and live in the best residence hall on campus! What most attracted me to this program was the opportunity to be outside a classroom setting and do hands-on research. I love anything outdoors, so hiking the Great Lakes dunes and conducting research was something that really interested me. Four days before freshman orientation week, I and other Great Lakes students moved onto campus. It was nice to come early because we avoided the stress and chaos of freshman move-in day. After we moved into our rooms, all of us Great Lakers attended a picnic at Kollen Park, where we got to know our professors, TAs, and fellow student researchers. The following day, field work began! We drove out to Flower Creek Dunes and collected data on Pitcher’s Thistle, a threatened plant native to the Great Lakes. We scouted the dunes, flagged and tagged Pitcher’s Thistles, and measured information on the plant. 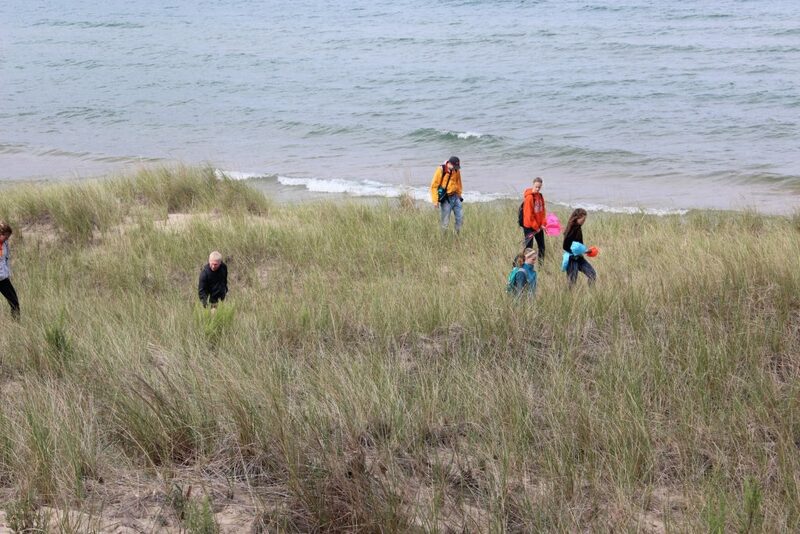 It was incredible to collect data on the beautiful beaches of Lake Michigan. The second day of field work was similar to the first, but the third day, our professors gave us a fun day. We hiked through the dunes, had a picnic by the water, and enjoyed the sun. Afterwards our professors even bought us ice cream! Overall, the field research was a great experience. It was awesome to analyze our data that we collected and other data pertaining to environmental issues of the Great Lakes in our FYS class. It was also cool to know that the research and statistics we were doing had real world applications to the environment.